This Saterday will see a world exclusive, Angry Birds will air a short film on Nickelodeon (kids Tv channel) at 11am. 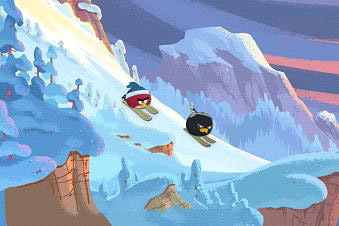 Angry Birds Wreck the Halls is a Christmas themed program. When the evil Pigs take the birds Christmas presents Red and Bomb Bird try to liberate them and in doing so like the App wreck the Pigs Halls.